Despite the slump in the value of the pound against the euro, the hundreds of thousands of diesel car owners driving to Europe for the school holidays might still be better off filling up on the continent than here. While the post-referendum devaluation of sterling means bigger bills for UK drivers abroad, the UK still heads the EU league table of diesel prices. This is because the UK remains the only country in the EU where the rate of duty charged on diesel is the same as for petrol. In every other one of the 28 member states the rate of duty is lower on diesel than petrol. Diesel in the UK is averaging 113p per litre. Italy is second most expensive (110p) and Sweden third (109p). Drivers will pay most for petrol in the Netherlands (129p a litre), followed by Italy (123p) and Denmark (122p). The UK is the eighth most expensive EU country for petrol (112p). A month after the referendum on European Union membership, prices in other EU countries are, on average, 6% higher in sterling terms. This is broadly equivalent to 6p a litre. This means, for example, that each time the driver of a Ford Focus with a 55 litre fuel tank fills up in Europe they will pay £3.30 more than they would have in the week prior to the vote. In the month since the referendum UK pump prices have remained stable. This is because although the price of oil has declined this has been offset by a weakening of the pound against the dollar (the currency in which oil is traded). This is the current (as of 18 July) list of EU pump prices. 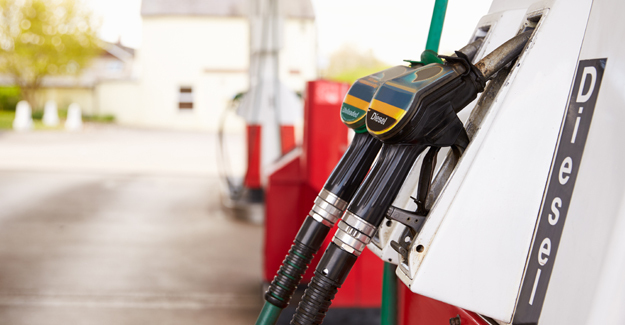 “Talk of fuel prices going through the roof in the wake of a Brexit vote have proved to be fanciful with UK pump prices at essentially the same level they were before the vote. “What might surprise drivers is that even allowing for the slump in the value of sterling they might still be better off buying diesel on the continent. “The key message is that pump prices are determined by a whole host of factors. The exchange rate is one of them. The price of oil is another. But taxation is perhaps the most important of all.